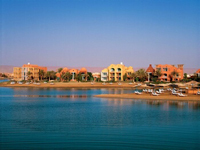 Combine a visit to the classical sites of Egypt with a relaxing stay on the beautiful Red Sea resort of El Gouna. Marvel at the splendour of the ancient world and enjoy the delights of the new and exciting resort of El Gouna for a most enchanting holiday. Day 1: Fly from Gatwick or Manchester to Luxor. Upon arrival transfer to your Nile cruise boat for a seven night cruise. Customers choosing Alexander the Great* will spend their first night at the Old Winter Palace in Luxor and then start the tour the following day. Day 2: Morning visit to the Valley of the Kings - the site of Tutankhamen's tomb, the Temple of Queen Hatsheput and the Valley of the Queens. Final stop of the day will be at the Colossi of Memnon before arriving back at the boat in time for lunch. Afternoon at leisure whilst the boat sails to Edfu via the Esna lock. Day 3: Morning visit to the Temple of Edfu, dedicated to the god Horus and the largest, most preserved temple in Egypt. Afternoon set sail for Aswan. Day 4: Morning excursion to the High Dam, the Old Granite Quarries and the Unfinished Obelisk. 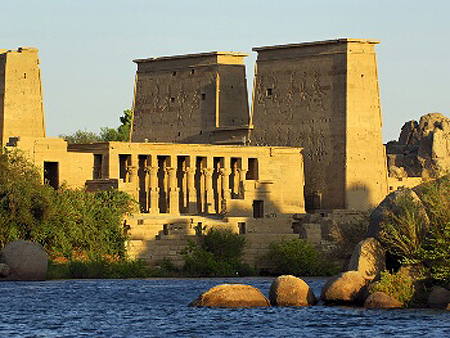 There is also a trip by boat to the Philae Temple, dedicated to the goddess Isis and occupying a picturesque location on an island. Day 5: Today can be spent at leisure wandering around Aswan or on optional excursions. The most popular excursion is to the temple of Abu Simbel, Egypt's greatest ancient treasure after the Pyramids. Late afternoon sail to Kom-Ombo and a visit to the Ptolemic Temple. Overnight either in Kom Ombo or Edfu. Day 6: All day at leisure sailing downstream to Luxor via the Esna Lock. Day 7: Morning visit to the Temple of Karnak and the papyrus museum. In the afternoon visit the Temple of Luxor after which there is time to explore the markets of Luxor. That evening there is an optional excursion to the Sound and Light show at the Karnak temple. Day 8: Fly from Luxor to Cairo for a 3 night stay at your chosen hotel. Day 9: Optional morning visit to see the Great Pyramids of Giza and Sphinx. Afternoon at leisure, time to relax by the pool or to do some shopping in the many bazaars. In the evening a chance to take an optional excursion to see the fantastic Sound and Light Show at the Pyramids. Day 10: Optional morning excursion to the Egyptian Museum to see the treasures of Tutankhamen. Afternoon at leisure or you may want to take one of our optional tours to the stunning mosques of Islamic Cairo and the intriguing early churches of Coptic Cairo. 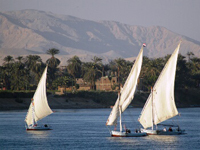 In the evening, enjoy an optional dinner cruise on the Nile whilst watching a traditional folklore show. Days 12 - 14: Time to relax and enjoy the many facilities this resort has to offer. For the adventurous why not take a trip a Bedouin safari into the desert and discover a fascinating unchanged way of life. Day 15: Early morning transfer by road which takes approx 4 hours to Luxor for your return flight back to the UK.